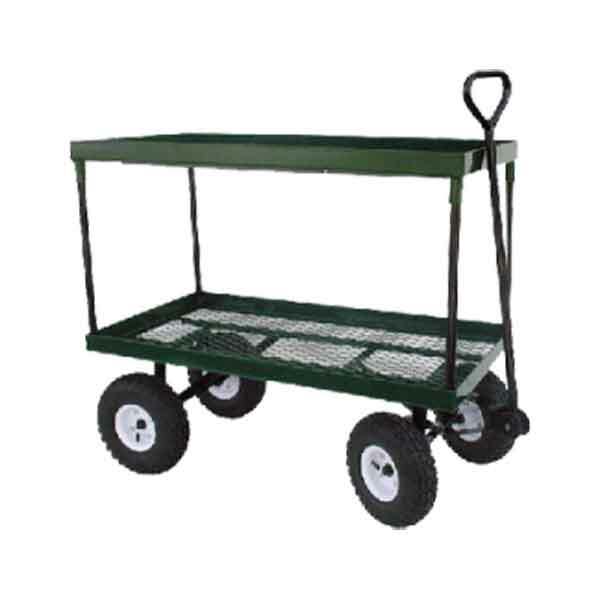 Premier Carts offers nursery and garden wagons that are great carts when dealing with rough terrain. 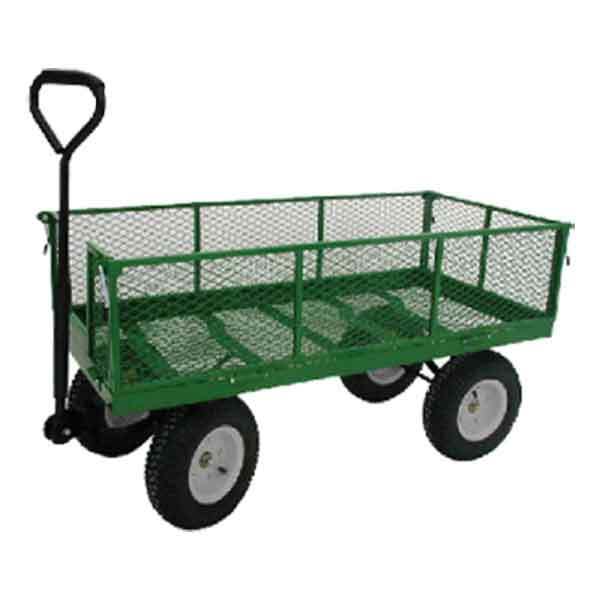 The wagons are large capacity and a great options for both industrial and personal use. 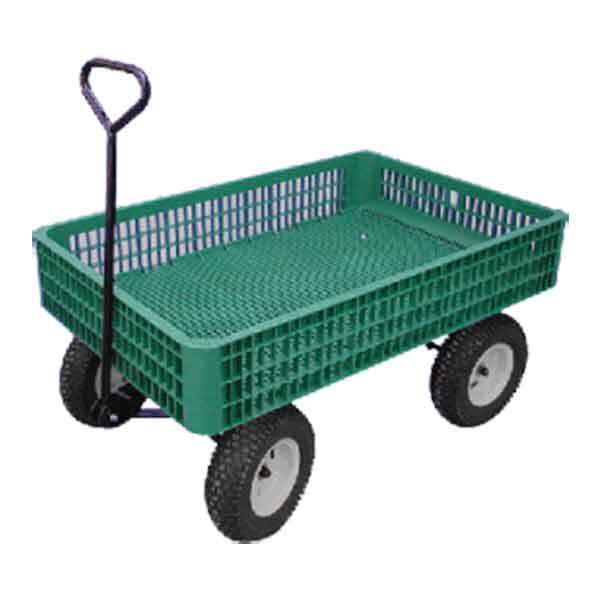 All wagons ship directly from the Canadian manufacturer, have large pneumatic tires, easy grip handles, and anti-tip steering. 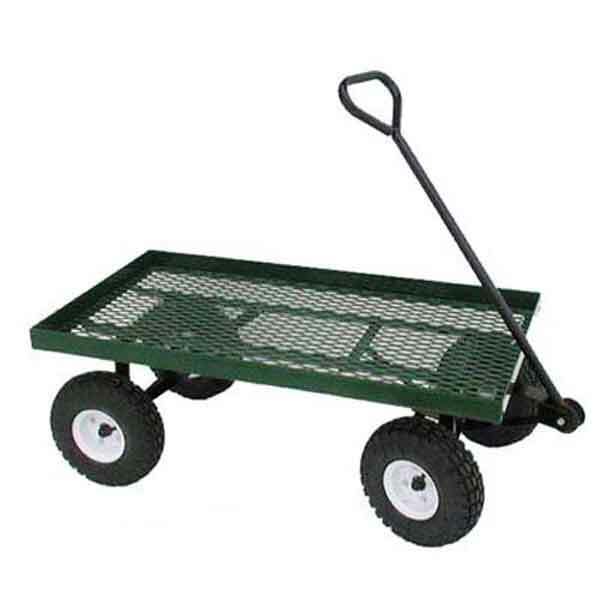 These wagons are ideal for garden and nursery applications. 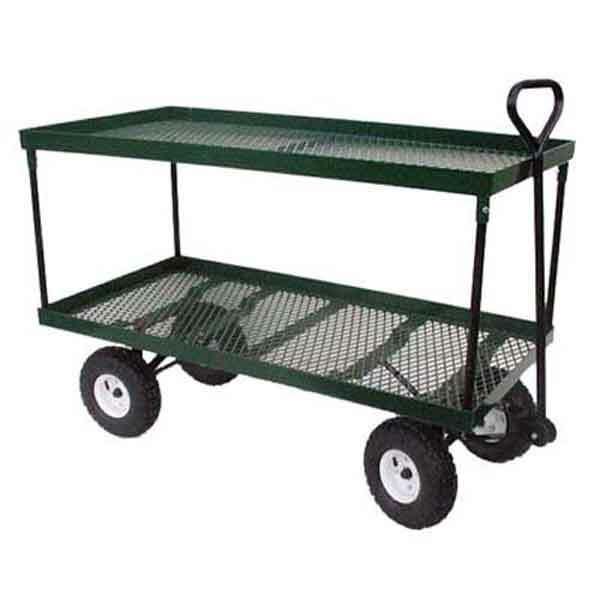 The expanded metal decks are strong but let water and dirt wash right through. 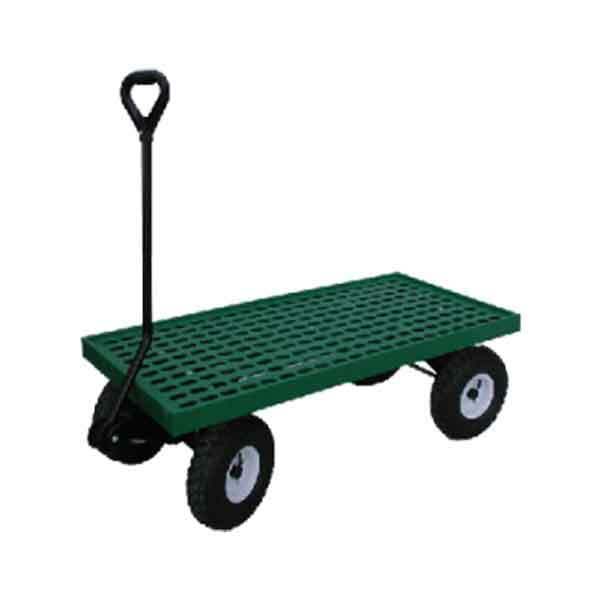 These large plastic crate wagons are durable, can roll over most terrains, and are light in weight for having such a large capacity. 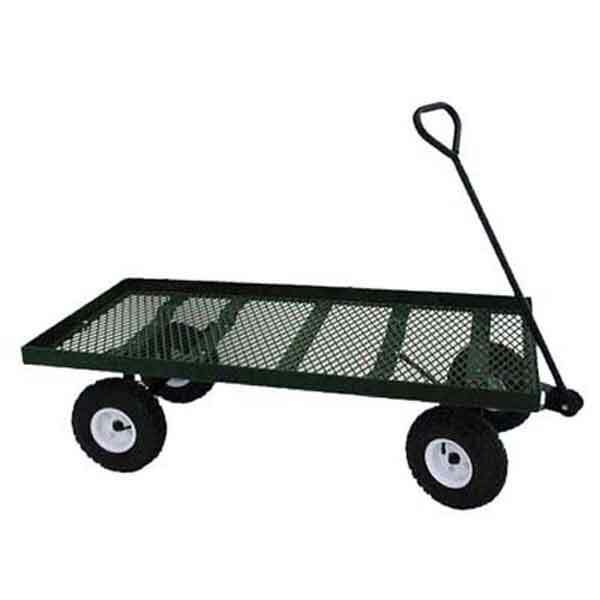 These wagon carts ship knocked down in large over-sized boxes from the Canadian manufacturer or their Tennessee warehouse. 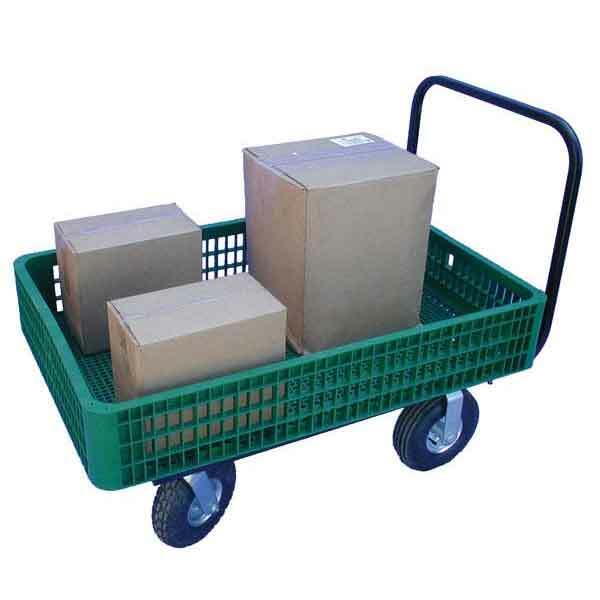 Most orders ship out in 3-5 business days, so the normal delivery time is around 1-3 weeks. Assembly is required.